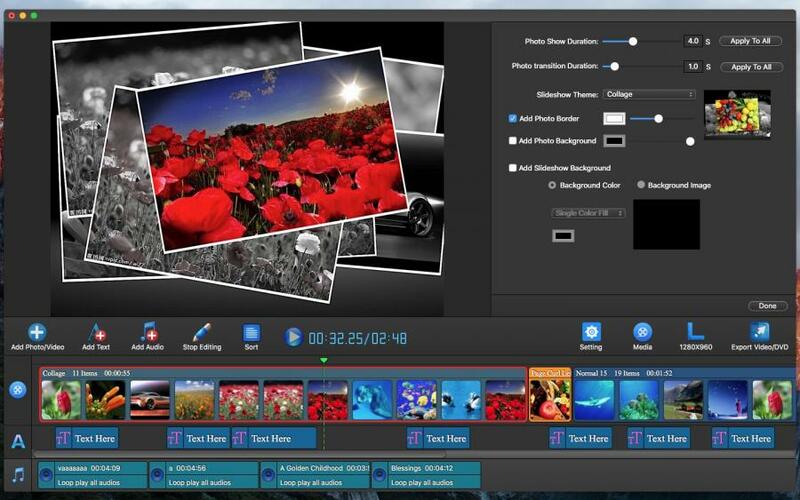 Support all video and photo format file. 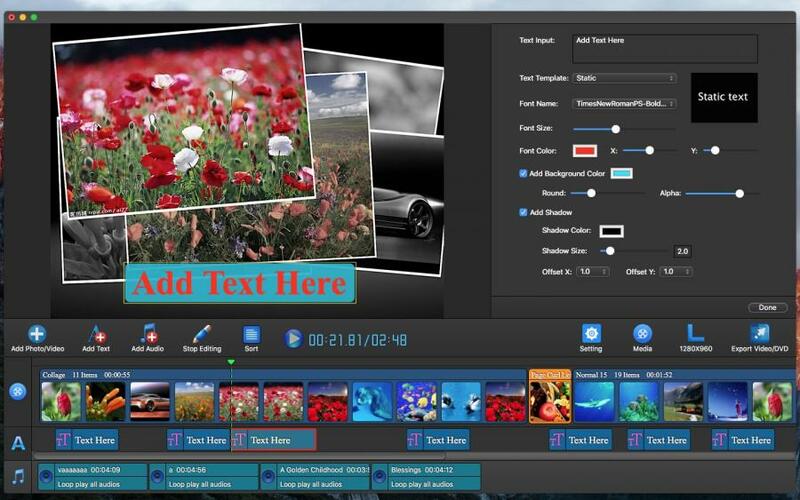 Provide text, transition and slideshow effects. 36 kinds of photo effects for you to choose. The app can showcase your story to fit any occasion-with a real film feel, effortlessly make a stylish movies using photos and music. 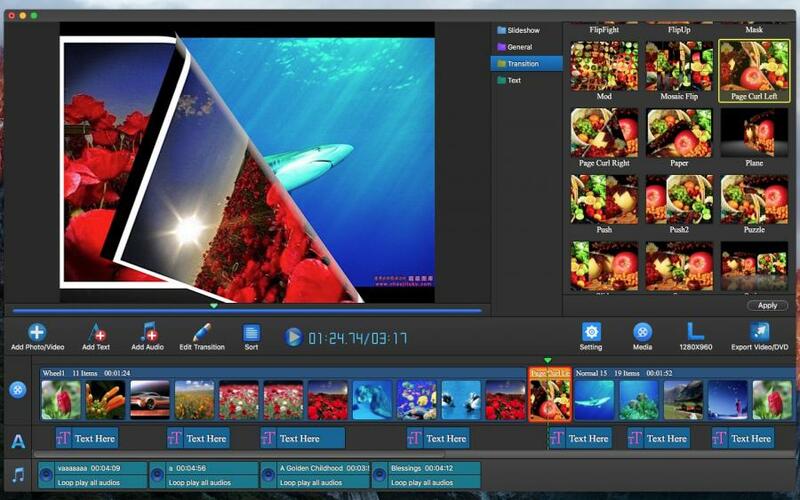 Just drag in your photos and music, drop in a few of the array of built-in themes and your memories are transformed into wonderful movies you can share on DVD, all your iDevices and more. 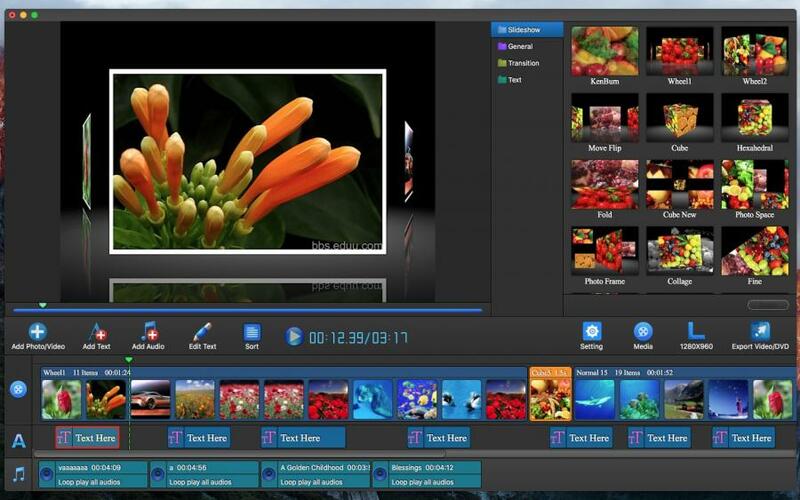 The app provide motion, transition and slideshow effects, you can add any background music and professional subtitles. which is cool, you can share with your parents, business partners or your friends and so on. 2. Provide text, transition and slideshow effects. 3. Edit photo (rotate photo, crop photo, effect photo). 8. Import images directly from the Photos app. 9. 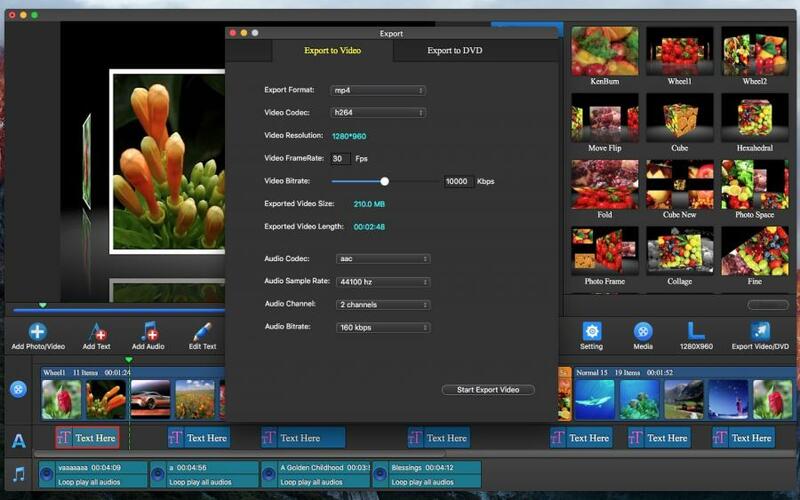 Support load all video and photo format file. 10. Add border and background form every photo . 4. Preview the subtitles themes. 1. Edit audio (Trim, Fade In, Fade Out, volume). 3. Custom background music start play time and end play time at slideshow video. 4. Drag anywhere to adjust their order and position.